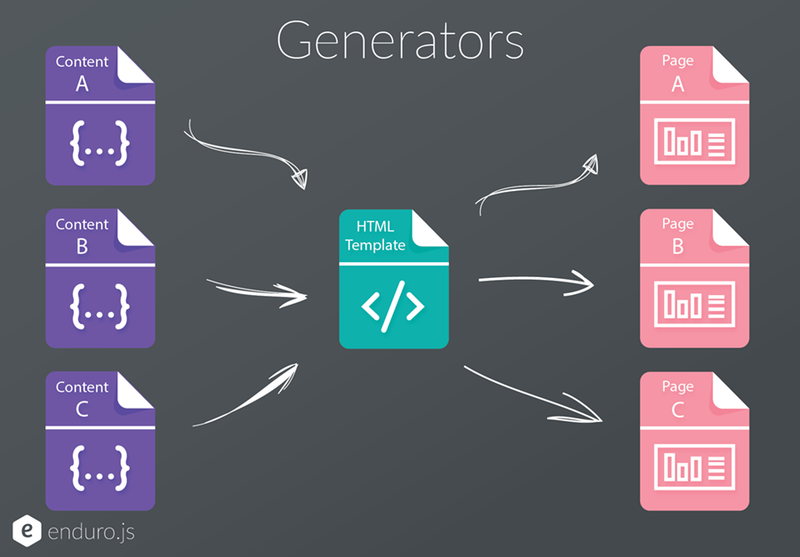 Generators allows to create multiple pages based on one template. This feature also allows content managers to create new pages. When user adds new page throught the Admin UI, the created page will be duplicated from the first content file in the generator. If you wish, you can create a /cms/generators/:generatorname/:generatorname.js and defined the content's template in this file.